Temperatures are dropping, snow is accumulating, and keen backcountry skiers were shredding lines at places like Bow Summit in Banff National Park before the end of October. Along with getting our bodies and gear ready for the season, many of us also need to get our avalanche skills ready; not just the required three pieces of avalanche safety gear, but the critical fourth component – how to reduce risk in avalanche terrain and how to use the gear. Before you quit reading since “this does not apply to me, I ski at …”, consider this. One major component of defining avalanche terrain is slope angle. Snow, under the right conditions, can slide on slopes of 25 degrees, but the more dangerous slabs frequently occur on slopes of 35 degrees to 40 degrees, which sounds like typical intermediate to black or double-black runs. While all CSP patrollers ski in avalanche terrain, the vast majority of us are not exposed to any avalanche risk. At most ski areas in the Prairies and east, snow never builds into a dangerous slab, as it is skied and groomed extensively. For everyone else, thinking about avalanches and avalanche safety should be part of your early season tune-up. 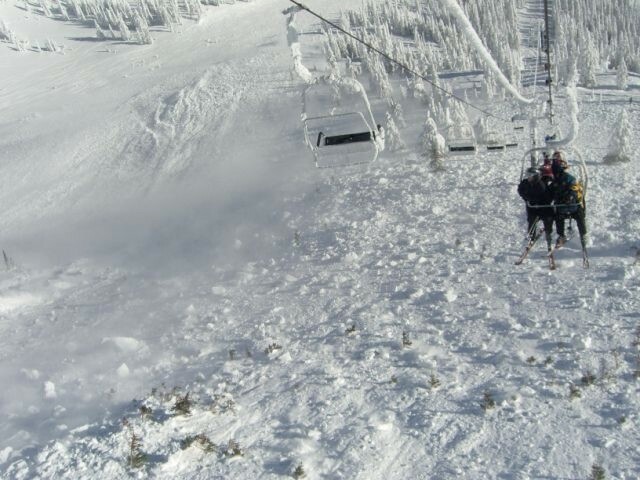 At Big White on January 6, 2008, a recently opened portion of the mountain produced a Class 3 slide, with one fatality. Know Before You Go is a 15-minute professionally produced video about the five things you need to know. For a quick refresher Avalanche Canada has an On-line Avalanche Tutorial, available in both English and French. For an education presentation related to patrolling and avalanche awareness, a two-hour Avalanche Awareness for Patrollers presentation is available on the NDS. There’s also a one-hour version available. Avalanche Canada (AvCan) has a series of courses geared to recreational winter enthusiasts. Information and other resources, can be found on the AvCan website. Mountain Division is sponsoring an AST 1 course March 17 and 18 and an AST 2 course, February 3 to 6, 2018. Course information can be found on the Mountain Division website. Contact the author for information on how to find other courses if these don’t fit your schedule. In case you missed last year’s information, if you use the Barryvox Pulse or Element avalanche transceivers, check out this Mammut blog regarding batteries. As always, if you want any more information, it is only an email away.